This is a picture of my favorite breakfast on our recent trip to Mexico. I liked it so much I was moved to photograph it. My husband was slightly embarrassed by this behavior. But what the heck, I find pleasure in recreating my restaurant favorites at home. Photos help. On the menu it was listed as Ranchero Eggs. I asked the waiter what to expect with this dish, thinking I was potentially ordering some kind of farmhouse scramble. 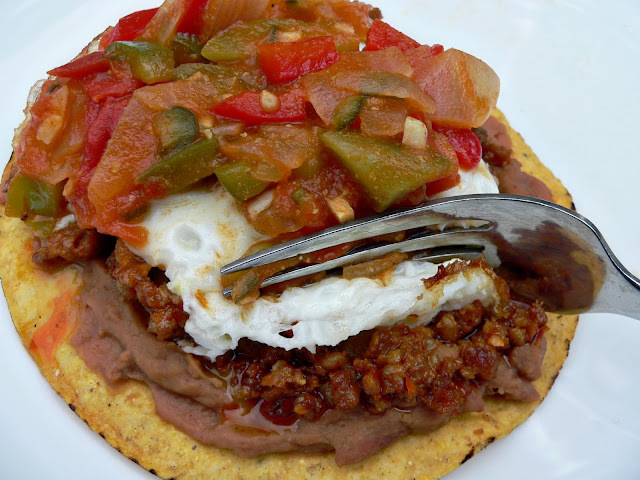 He kindly described a very common meal in Mexico—corn tortilla topped with refried beans, sunny-side-up egg, chorizo and tomato sauce. It took me a second, but when I realized he was talking about Huevos Rancheros I giggled quietly to myself trying to understand the logic here. 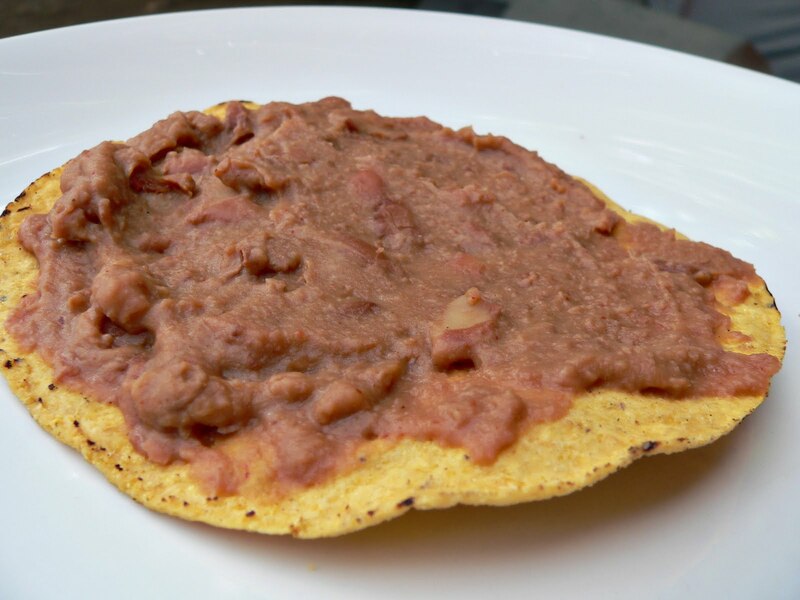 In the States we call this dish by its Spanish name and at this particular restaurant in Mexico they call this dish by its English name. What gives? Anyhow, it was darn good. So good that I made a point of coming home to recreate the flavors in my Little White Kitchen. 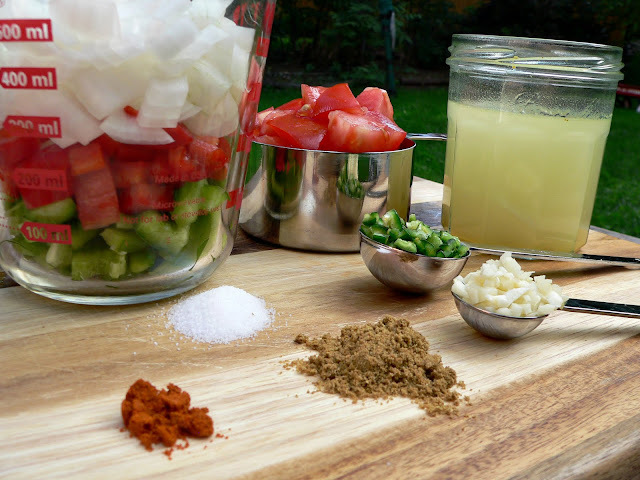 Not knowing where to start with ranchero sauce, I took to the world wide web to find something similar to the flavors I remember at that quaint restaurant on the corner of the town square. Emeril Lagasse's Food Network recipe for ranchero sauce seemed to be the closest fit to what was captured in my photograph. So I gave it a try with a slight modification for spice. 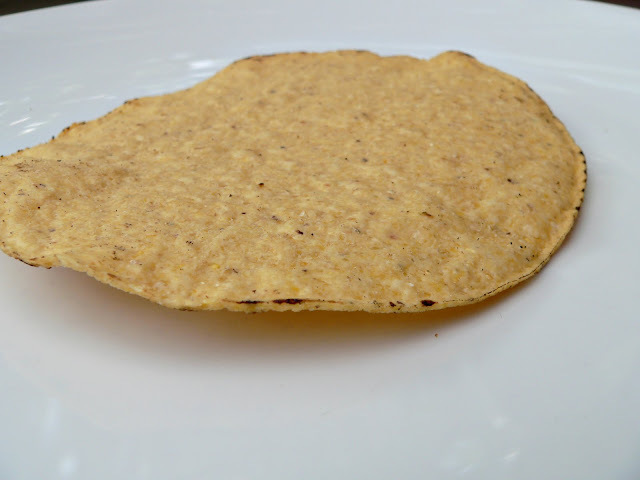 I strayed from the rest of the recipe based on what I remembered from my breakfast in Mexico. Emeril's ranchero sauce is a good fit for this recipe, but it is fun to play around with the ingredients until you find the perfect fit for your palate. 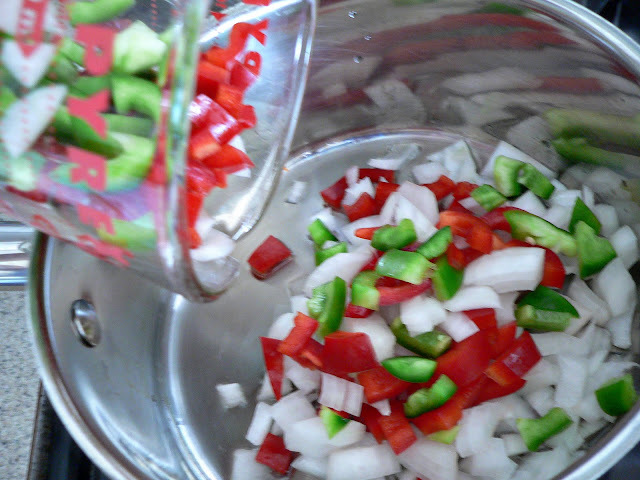 Increase the amount of tomatoes, decrease the green pepper, up the cayenne or try other varieties of hot pepper. So much fun to be had with ranchero sauce! I bet you never knew. 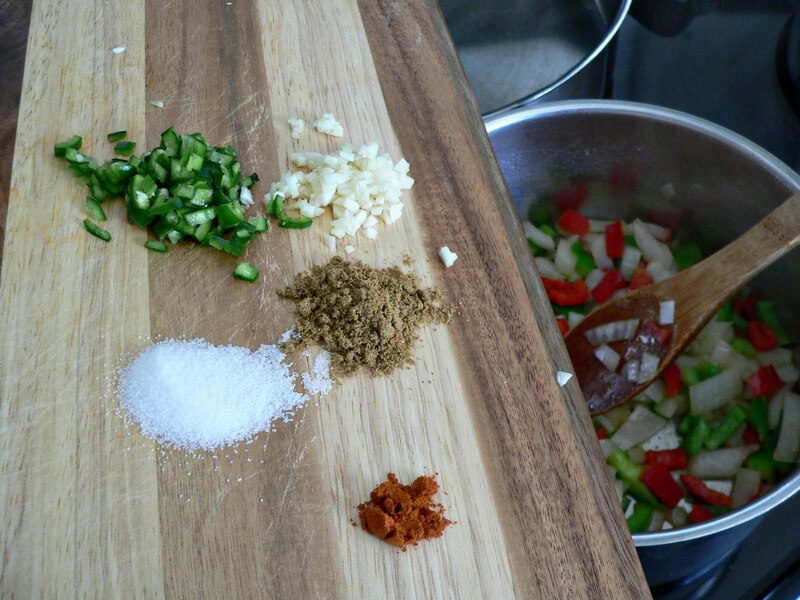 Get all of your ingredients ready ahead of time. The sauce comes together quickly and there won't be time to chop, dice and measure once you get cooking. 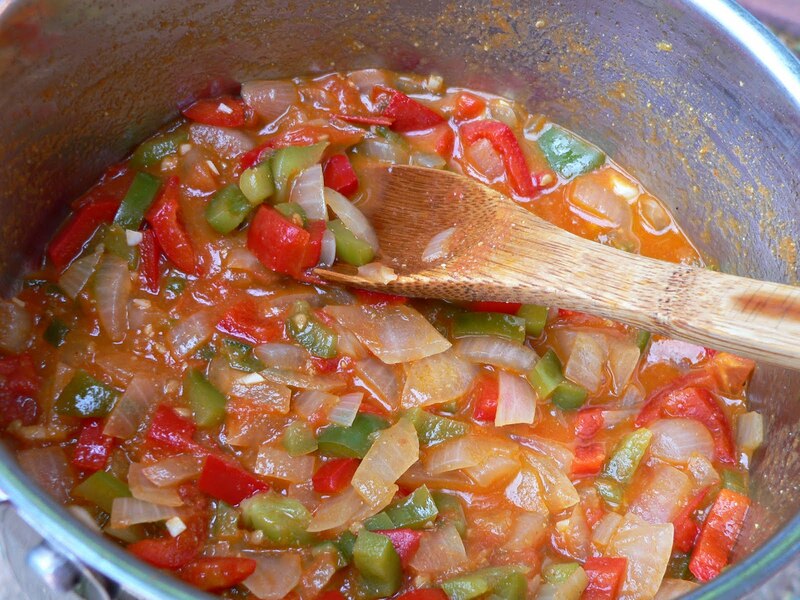 In a medium saucepan heat the oil over medium-high heat. Once the oil is hot, cook the onion and bell peppers for 5 minutes, stirring constantly. 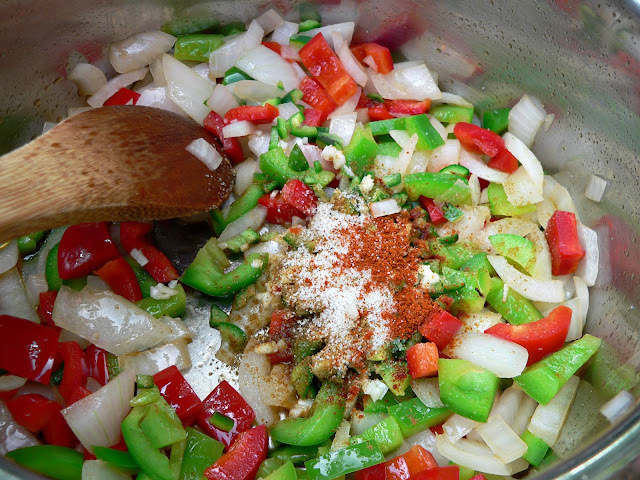 Add the cumin, salt, cayenne, serrano and garlic. 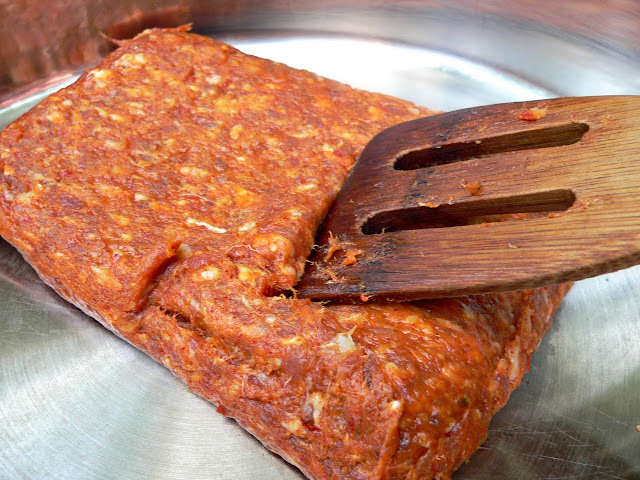 Stir together and cook for 30 seconds only. 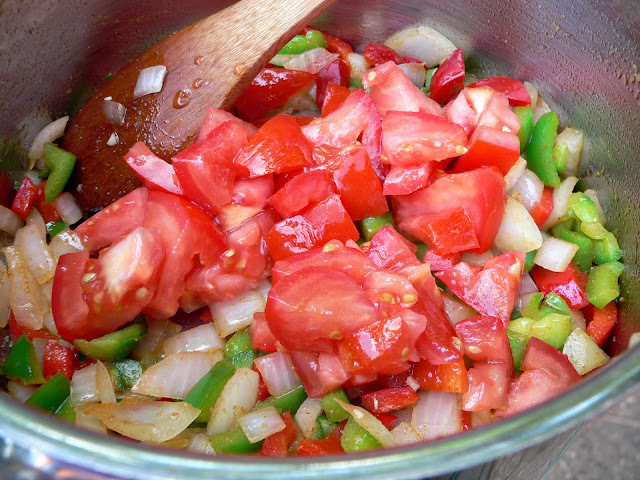 Now add the chopped tomatoes along with any accompanying juices. Cook for 2 minutes while continuing to stir. 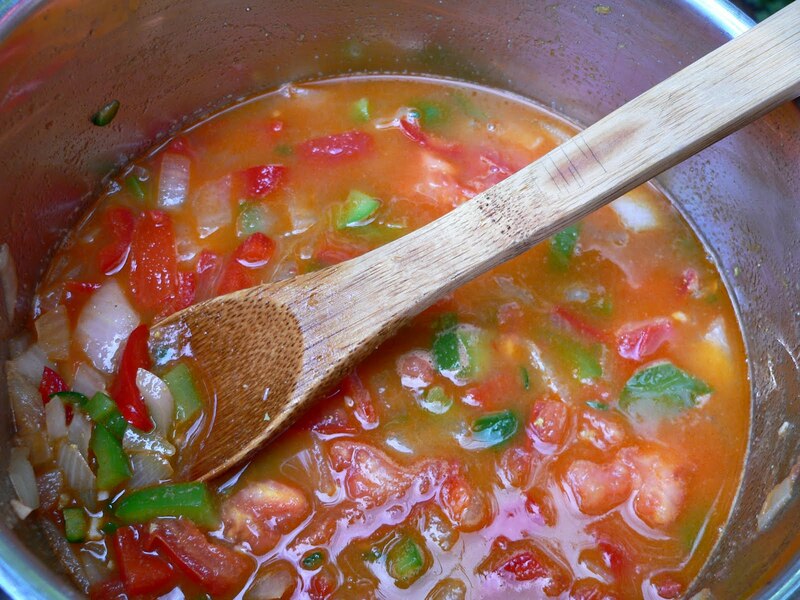 Add the chicken stock and simmer for 15 minutes or until the sauce has thickened. 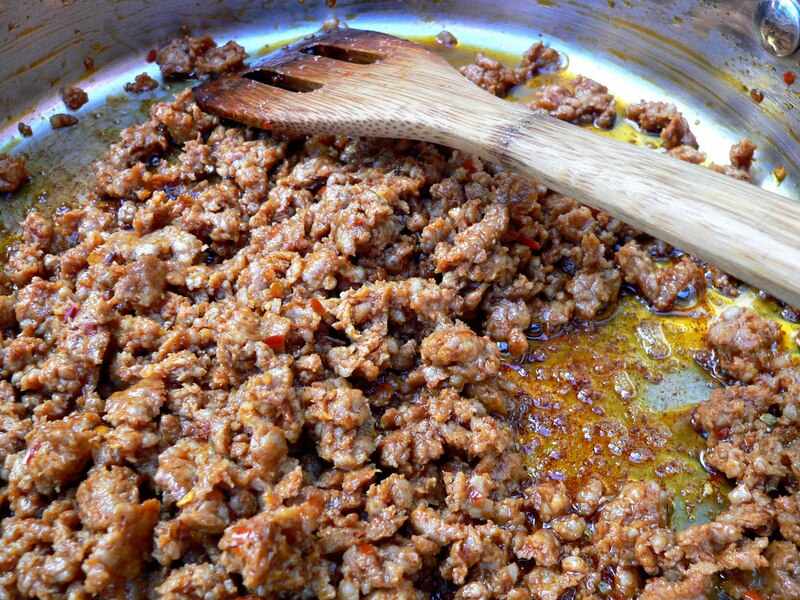 While the sauce is thickening, you can start browning the chorizo. Use a wooden spoon or spatula to make the meat all crumbly. Cook throughly. Set aside. 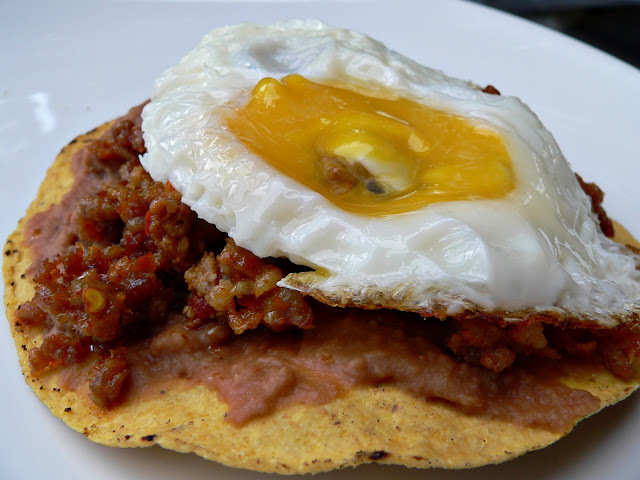 Once the ranchero sauce and chorizo are finished cooking, start frying your eggs. 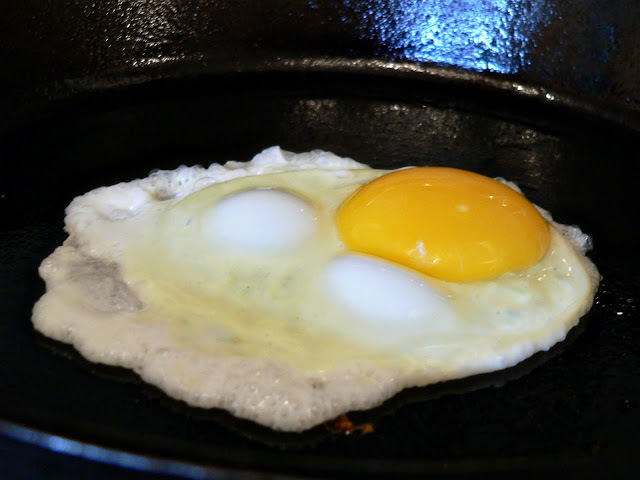 Be sure to add plenty of oil to the pan and let it heat up over medium-high heat before cracking the egg into it. Hot oiled pans make for easy egg removal. Dry mildly warm pans make for a mess. 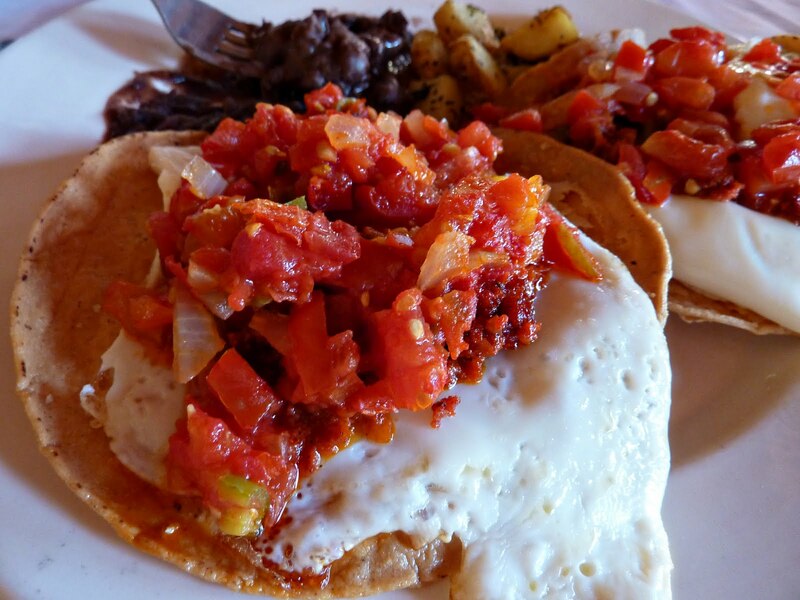 Note: Sunny-side-up is the traditional way to prepare Huevos Rancheros, but there are those of us who don't prefer our yolks to run. 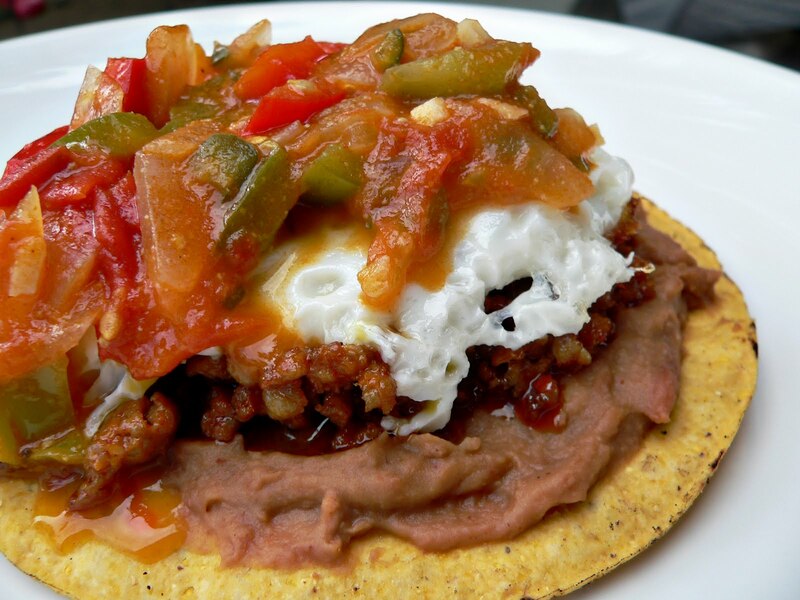 In which case I give you complete permission to pierce the yolk sac and flip that baby over to make this Huevos Rancheros over-hard. Dive in and delight in the simplicity of a farmhouse breakfast. I am thinking of farmhouses. I am thinking I remember something about Ray Lamontagne moving into an old farmhouse built in 1830. I am thinking I really like Ray's cover of Gnarls Barkley's song Crazy.